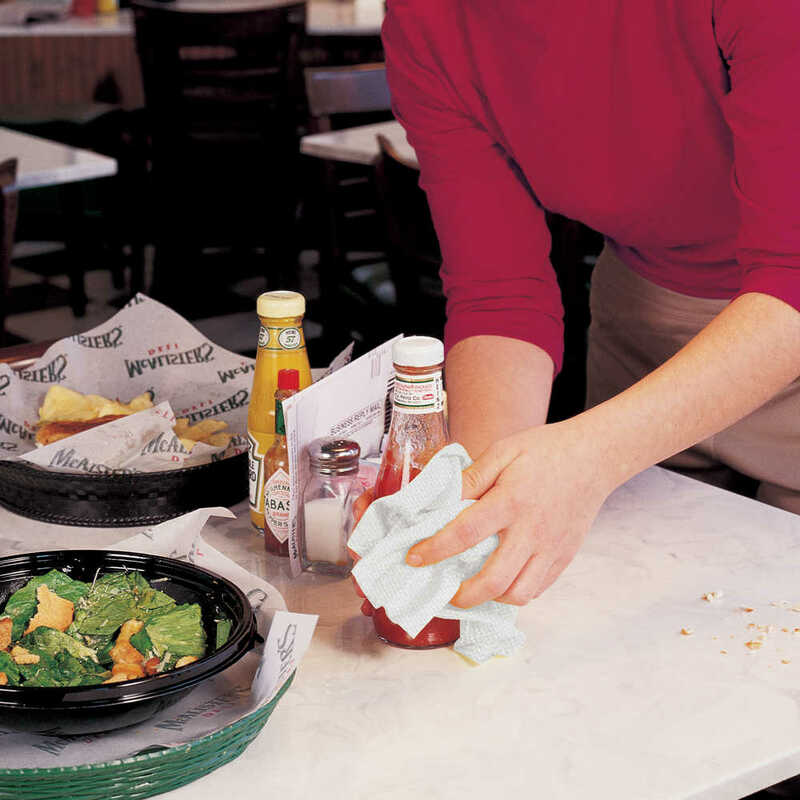 WypAll X80 Foodservice Towels are a must for any foodservice operation. They are a hygienic alternative to cloth rags and laundered towels and are ideal for all general cleaning in foodservice environments. 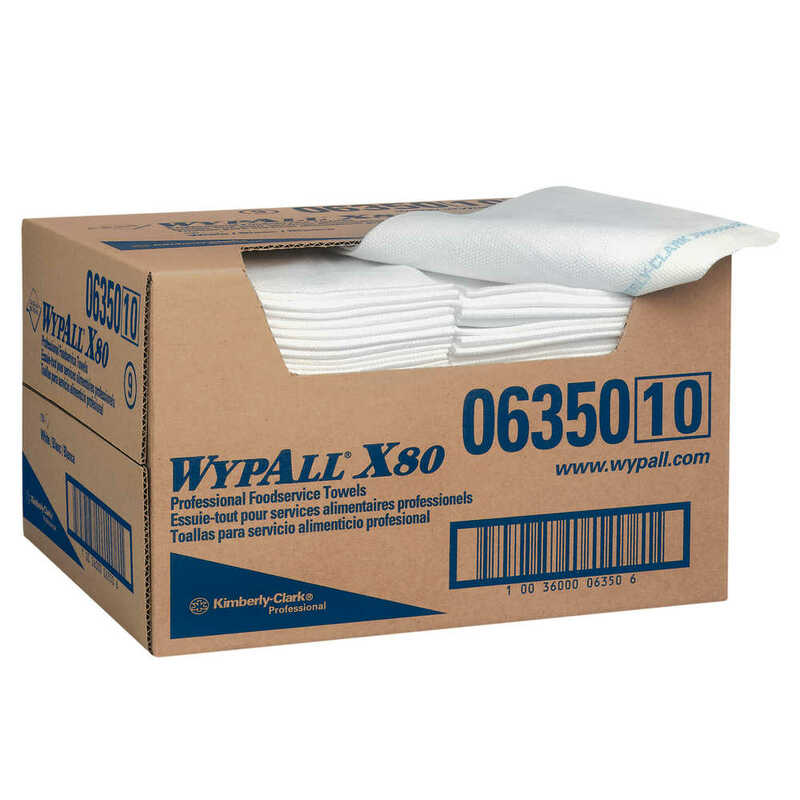 These WypAll X80 foodservice towels are made with Spunlace, a low-lint rayon and polyester material. They are durable enough for machine washing or soaking in sanitizer solutions for extended use. The soft, heavy duty cloths come conveniently and compactly packaged in a quarterfold format (an alternative to a box of rags) and are so sturdy that they can often be used more than once. Once you’ve used them a few times, they’re disposable. 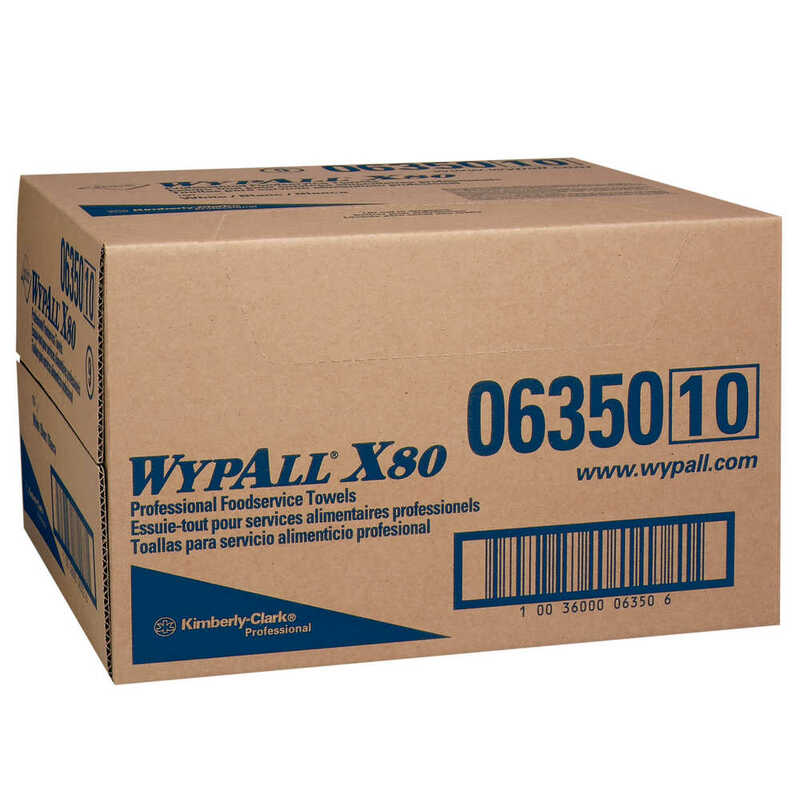 For your foodservice or prep operation, trust the WypAll Brand, the one that sets the standard for excellence in cloths.